I'm prone to spots and the odd breakout here and there and not to mention my skin can get slightly oily. I get asked often what face masks I use - my skin isn't perfect I get the odd blemishes and flare ups like most but if your skin is similar to mine here are 3 face masks that could help you too. This ones a newbie to me, been using this mask for around 4 months now and what I like about it is, there's hardly any scent to it. Using a thin layer I apply this over my problem areas, this has oil absorbing clays and chamomile to minimize any redness and lightly moisturises the face. There's a lot of clay masks that are more drying of the skin but I don't have that with this, it helps to target any spotty redness. Good for normal, oily and combination skin. This one to me is quite purse friendly it's just under £11 but it's more accessible with a pop in your local high street Boots store. If you prefer quicker face masks this ones perfect. 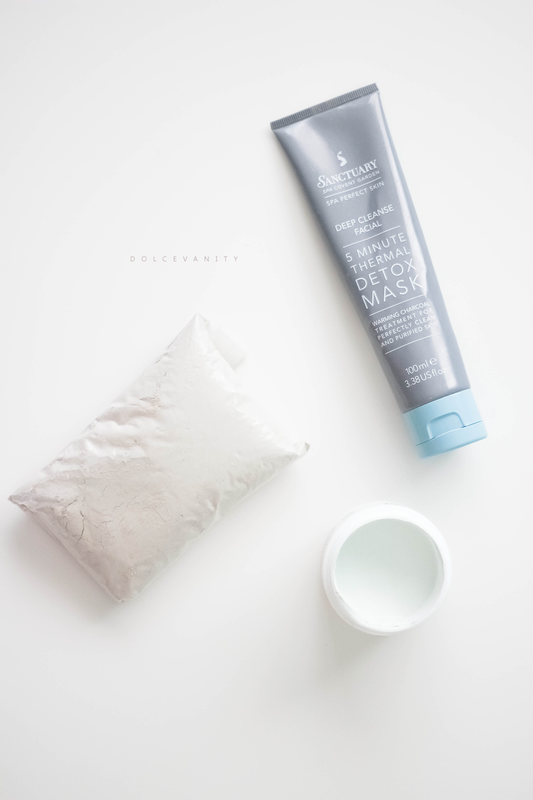 This masks draws out any impurities with it's self heating clay, the charcoal and kaolin will get deep into the skin. Simply cleanse your face and leave it it damp, apply this onto your face and neck or if you suffer from combination skin just any probelm areas (forehead, nose etc) and for 5 mins you'll feel this soothing and bareable heat as this mask goes to work. This ones for the kitchenista's, You can add organic apple cider vinegar and / or water to make your mixture. I mix equal parts and stir until it's all fully blended. Apply this to your face using either clean hands or a face mask applicator. As this begins to dry, it's tighter than any other clay mask I've used, the skin feels like it's being ripped off but it's not your feeling all the dirt and impurtites being sucked out. After about 25 minutes it ws dry and cracking like an old wall, this is the part that's a pain, getting it off. Soak a face cloth in warm water, put it over your face and steam it off and wipe it off. Don't keep rubbing at the skin, you don't want to irritate it. Good for oily and spot prone skin. Top Tip : Always remember to make sure your hands are very clean before touching your face.